A lovely e mail with some pictures received from Richard in Derbyshire. Seeing your Christmas email has reminded me that I need to get in touch with you regarding our Land Rover which we bought from you in May. 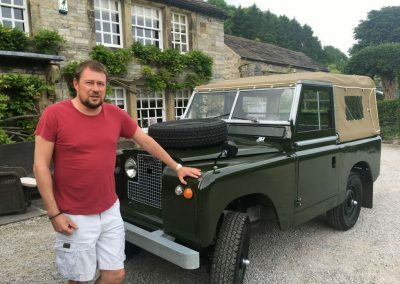 As you will see from the photos below, she has become quite a part of the family at our home in the Peak District. She was immediately named B.Landy by my 9 year old daughter (My wife’s surname is Blandy but it also stands for ‘Bl**dy Landy’.) 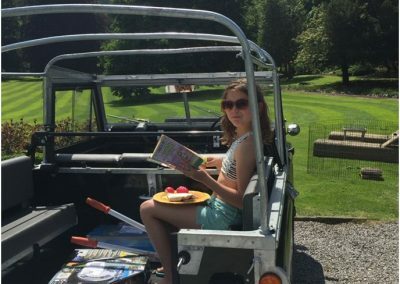 She also insisted in having lunch in B.Landy during the summer! B.Landy has been an enormous help around the garden over the summer, chopping trees, shifting logs, towing kayaks etc. Also over the summer we took her up to the local show where she won a prize. 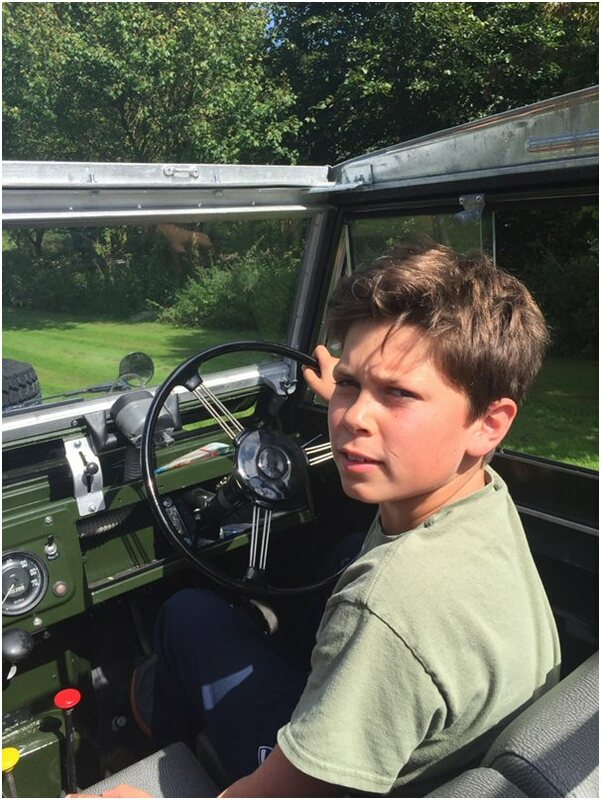 My 13 old son has been learning to drive around the fields in B.Landy. 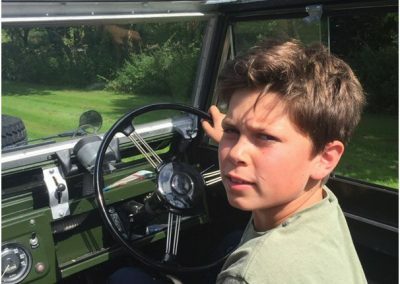 Having mastered it very well, I think he can now drive almost anything. The dog, Touriga, has also taken to B.Landy and loves being driven around the grounds in it. Of course, with the recent snow in North Derbyshire, B.Landy has come into her own! 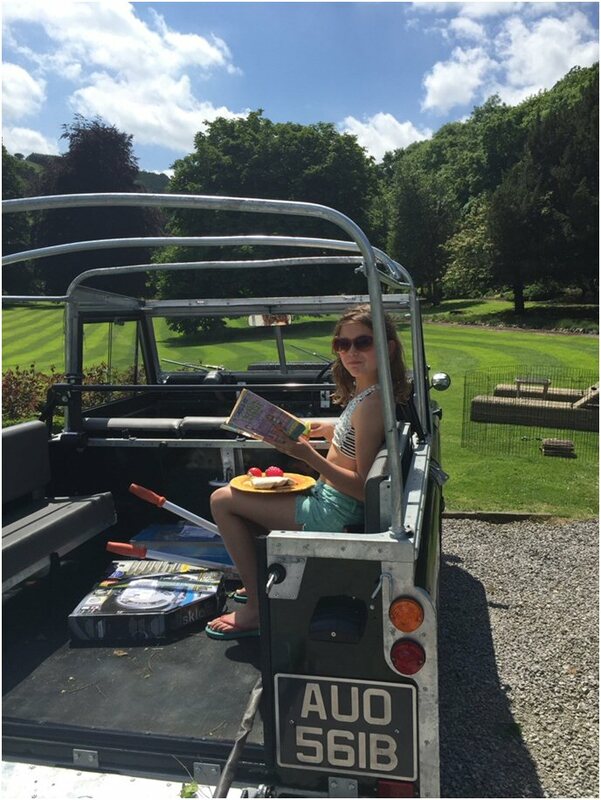 We are all looking forward to next summer when we can drive B.Landy with the canvas roof removed and picnic in the Derbyshire countryside. 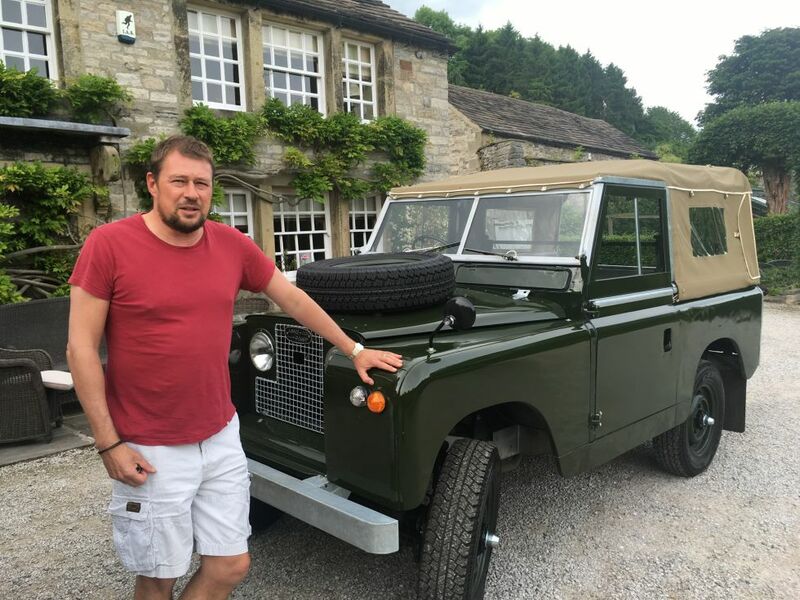 Despite her name, we are all delighted with B.Landy – May she last a long time!